Once Dorothy and her colleagues made the journey to OZ, they quickly found out that there was no there, there (every now and then, one must throw in some Gertrude Stein). The Wizard simply told her what she really should have known all along. That classic is about self-reliance, and the ability to differentiate, understanding the real value of what is already there–and the real range of possibilities. Dorothy and her companions just had to figure out how to reframe their own perceived shortcomings and recast them as strengths to achieve real transformation. Firms can undergo the same kind of journey, only to find out that there is indeed no “magic” to solving data monetization challenges. 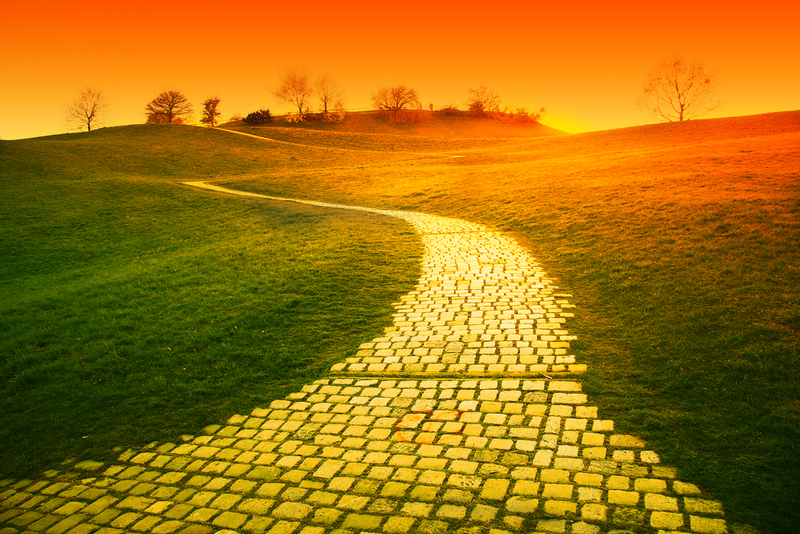 While the tools have vastly improved, and the power of BI buttressed by AI and Machine Learning has helped greatly with incorporating challenges like unstructured and disparate data (internal and external), that Yellow Brick Road journey still requires cultural and operational steps including empowerment of associated teams. There is not a lot of room for autocracy in achieving the best results. Foundational elements work best, and collaboration is a must. But ultimately, is it worth this kind of upheaval? Before going further, it is worth noting, when we speak about data monetization, some folks just assume that it means selling a firm’s data. Instead, there is indirect monetization (operational efficiencies, internal operational changes, automation development) and direct (data becomes an external asset B2B and B2C). In the former costs are decreased, in the latter, there is direct revenue. This is an oversimplification, but in the end, there is a great of intersection and symbiosis. Governance and the business lines need to be cohesive when making decisions. But these transformations can strike terror into the hearts of managers (ok, at least major concerns) since it can mean a lot of disruption, and perhaps even unwanted human capital turnover. This is where honest and consistent communications are key to the organization. It is the manager’s job to work with the other managers, ensuring that everyone is in synch with this type of transformation. All facets of an agreed upon roadmap must be adjudicated. Over-explain and overcommunicate in order to get buy-in, collaborations, engagement—all important to realize success quickly. In my experience around toolsets, it is often a mistake to think that monetizing data is as easy as dropping tools into internal users or customer’s hands and you have a data product. That approach can be myopic, ultimately damaging a firm’s brand, causing the data journey to move sideways. Firms should avoid building process and foundational data strategies around software, hoping for an easy answer—that will indeed be an expensive mistake. Unfortunately, I witnessed firms building their entire tech stack and processes around tools that were viewed as a panacea. Tools are great, but they do not take the place of strategy and architectural planning. Buy the tools to fit the use cases and your data strategy. Otherwise what you think can be the inexpensive path, can end up being the most expensive introducing overhead and risk. With that, Data Monetization, with all its ramifications, is evolving the core business in virtually every vertical. It is indeed the new asset; the newest form oil if you will. So before looking into toolsets, and architectural paradigms, it makes the most sense to decide on what your journey will look like. Plan, strategize, and formulate where efficiencies can be realized, and where data can be monetized. The spend can be significant, so all Executives should understand the ROI, and the risks. With so much available now in exogenous structured and unstructured data, new products and even LOB’s can be formed based on the output. Framework is key to exploiting that data. If applicable, make that part of your overall case. According to Gartner, by 2019, 75% of analytics solutions will incorporate 10 or more exogenous data sources from second-party partners or third-party providers. So you see where this is going. What is the bottom line then? In terms of revenue, is this really all worth it? According to Forrester, B2B and B2C firms are commercializing equally. FinTech and InsurTech should, however, realize the largest gains owing to existing structures and standards. They are also dealing with the largest amounts of capital. PWC stated the revenue from commercializing data and analytics was US $175 billion in 2013 and should ramp up to $300 billion per year by the end of 2018. Ultimately this disruption will create new products and new ways of evaluating risk as non-correlated unstructured data enter the picture. Without these elements, without a strategic plan for data/architecture or processes, monetizing data can become an expensive and highly ineffective journey, where you can end up on a road far different than the one Dorothy and her colleagues embarked on. 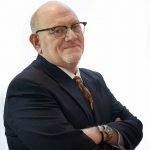 Mark Katz has twenty-five years of experience in IT/Operations in both FinTech and InsurTech, having held senior leadership positions including being the CIO for Financial Products and Services for XL Capital, Global CIO for Syncora Guarantee, an IPO Carve-Out bond insurance firm, and CIO for ASCAP. Mark is a multifaceted technology executive focused on leading business improvement initiatives and aligning technology with corporate performance targets with implementation success across disparate industries. Mark holds Masters’ degrees from Columbia University and The University of Chicago. He also serves on two non-profit boards, as well as the advisory board for HMG. Mark is also a member of various industry groups including Fairfield/Westchester SIM. Currently he is Senior Principal at HP Marin Group, where he serves as a C-Level Advisor to clients and as a leader in the Data and Legacy Systems Practices.